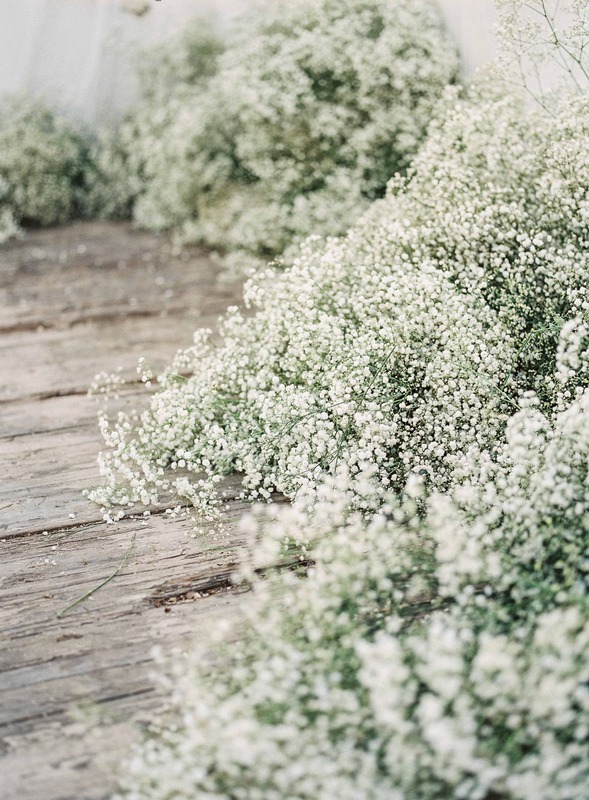 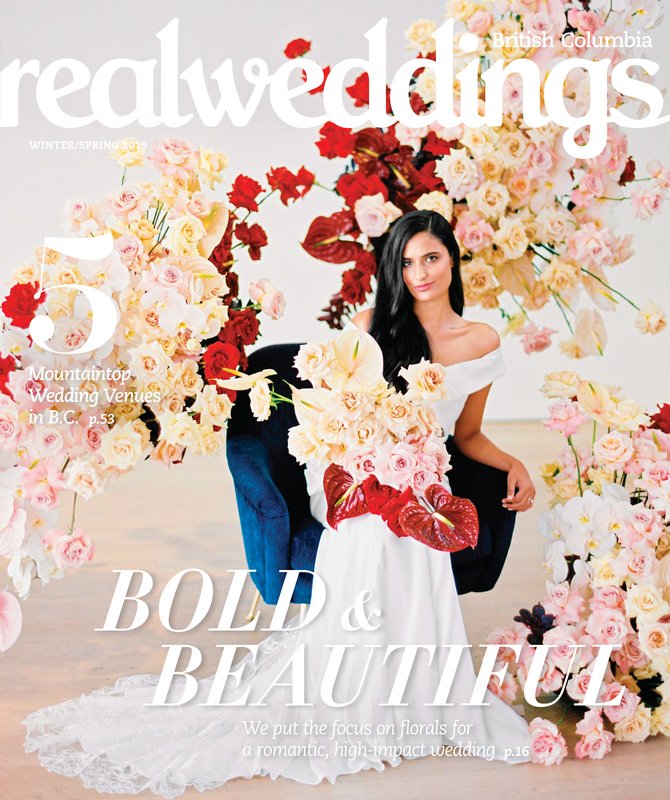 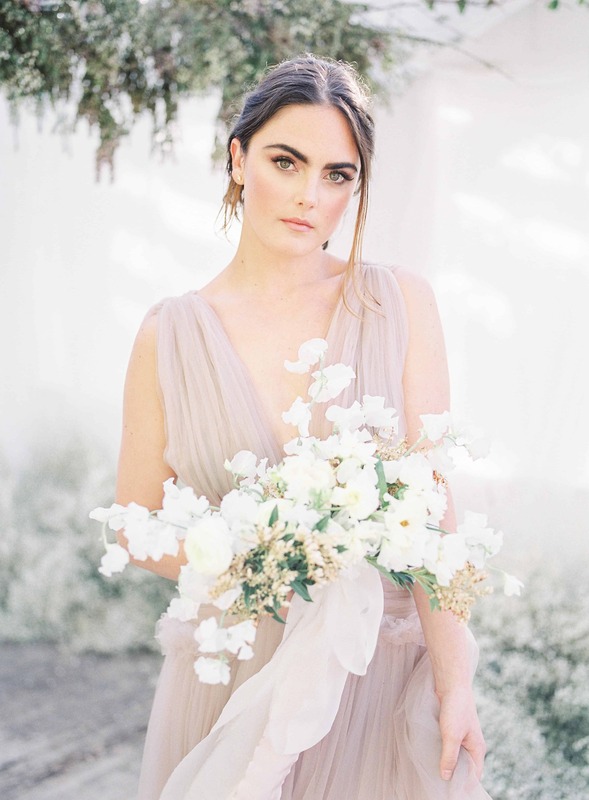 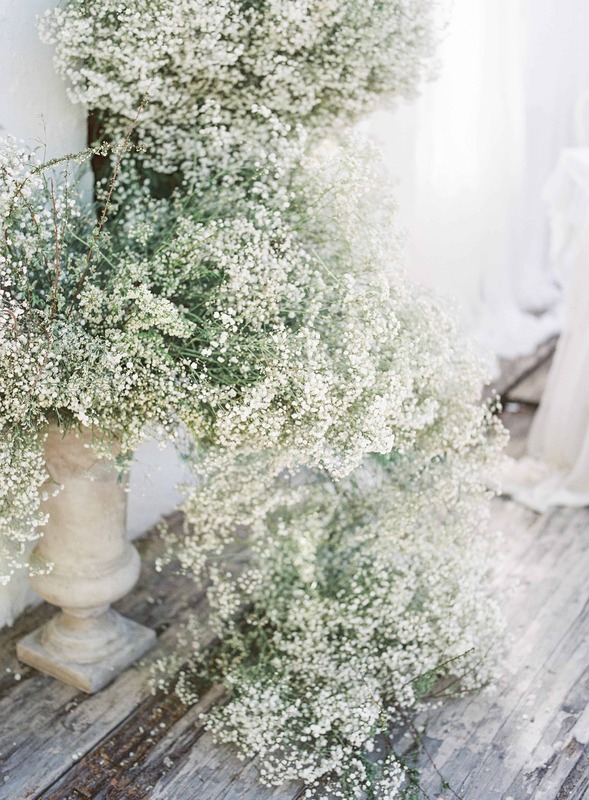 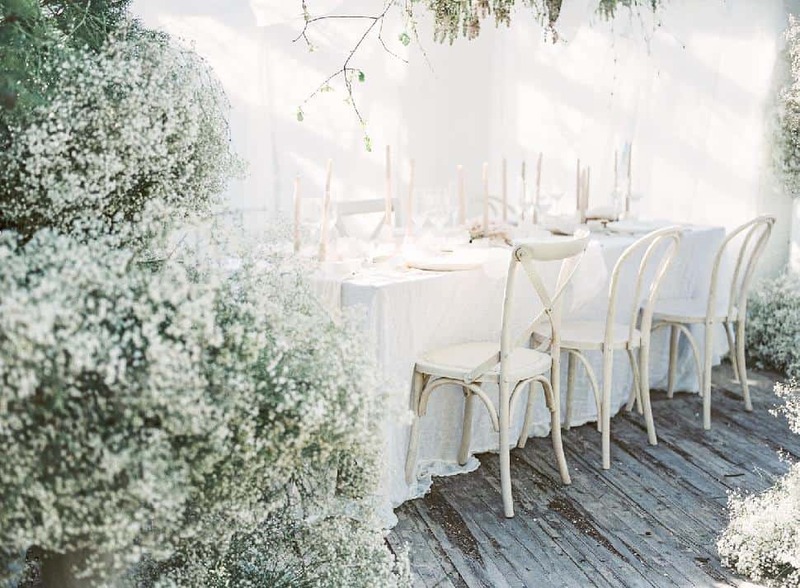 Celsia Florist added a layer of romance to the shoot’s white colour palette with a delicate, airy baby's breath installation. 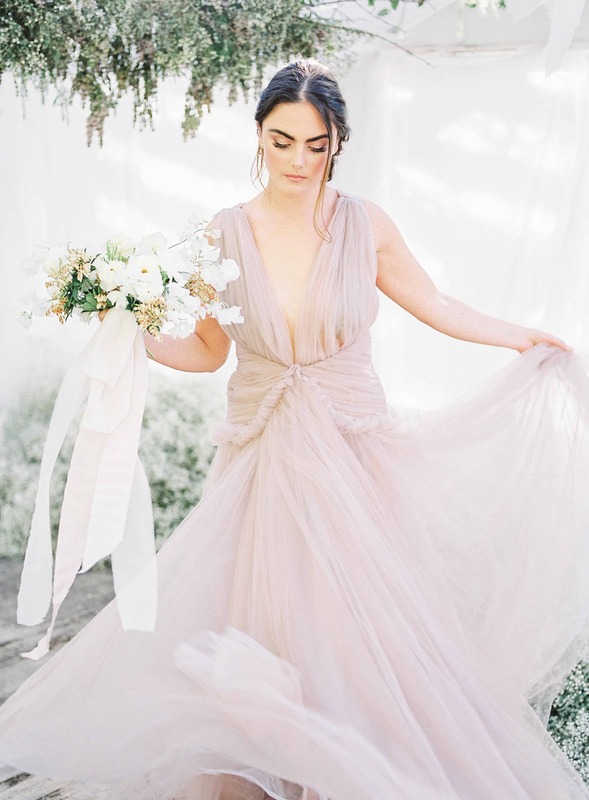 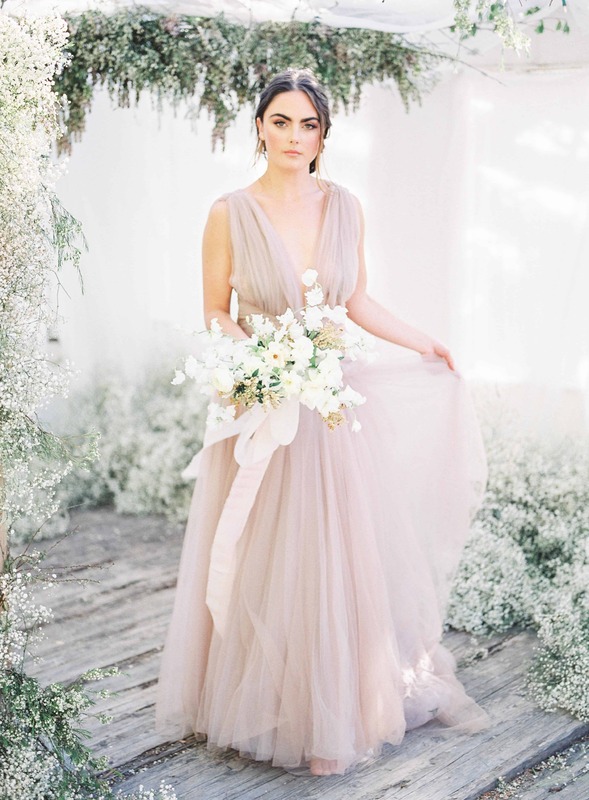 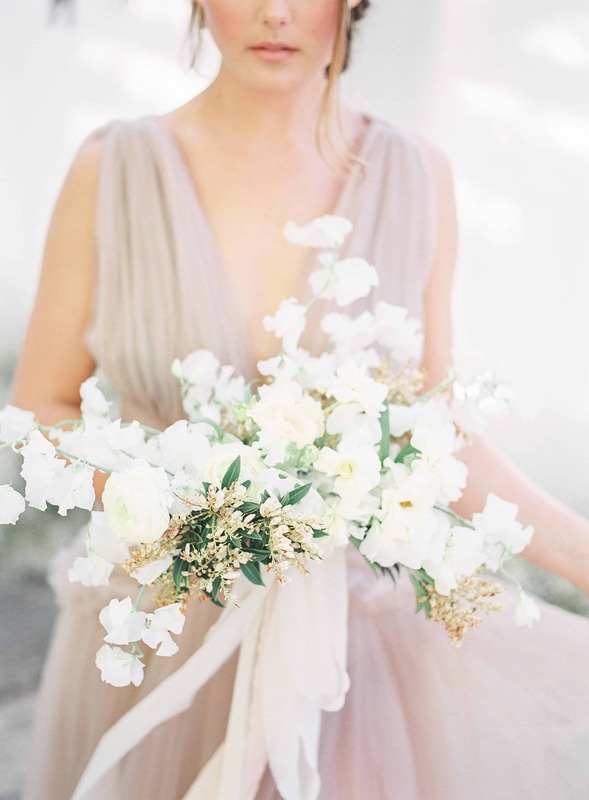 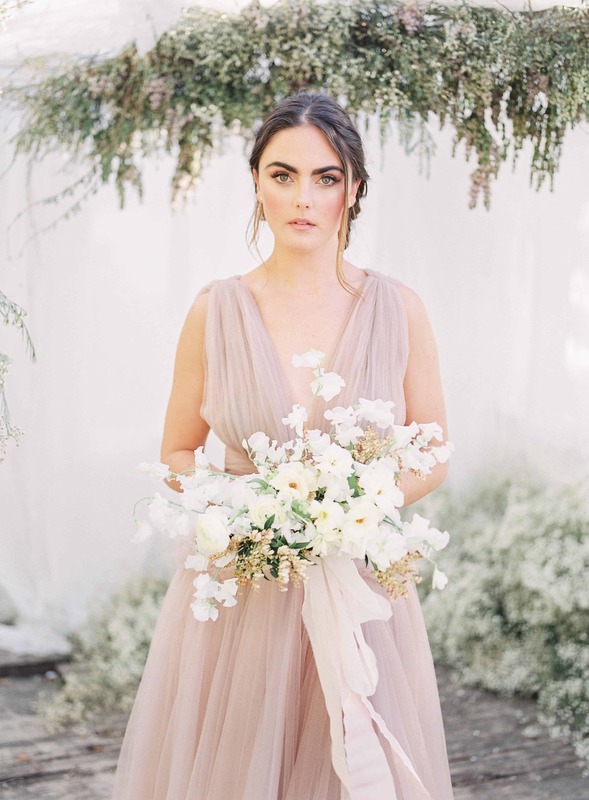 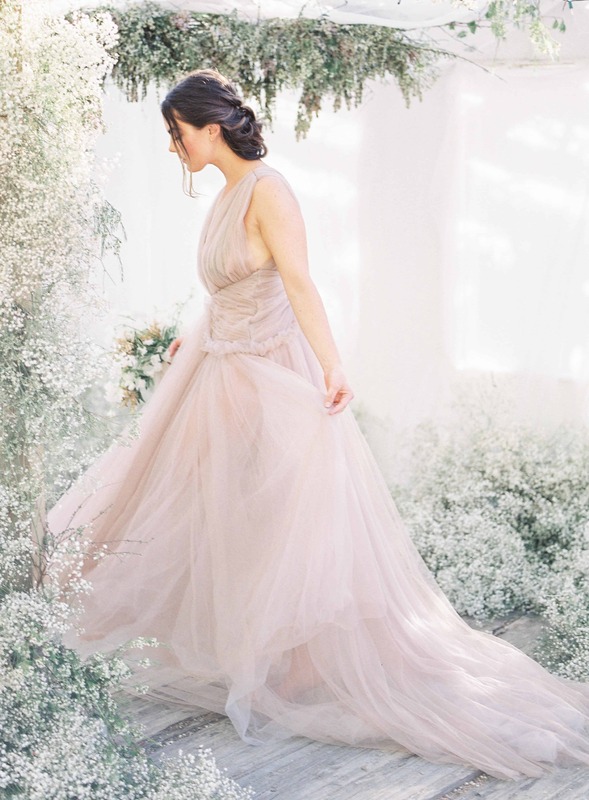 The ethereal addition provided texture while complementing a soft and feminine look. 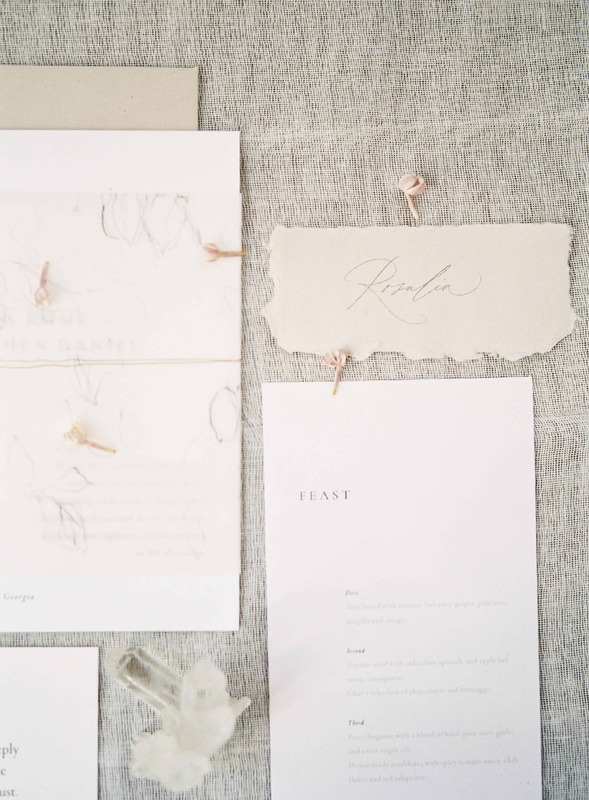 Stationery designer Tara Spencer used gentle, soft influences in the design of a whimsical invitation suite. 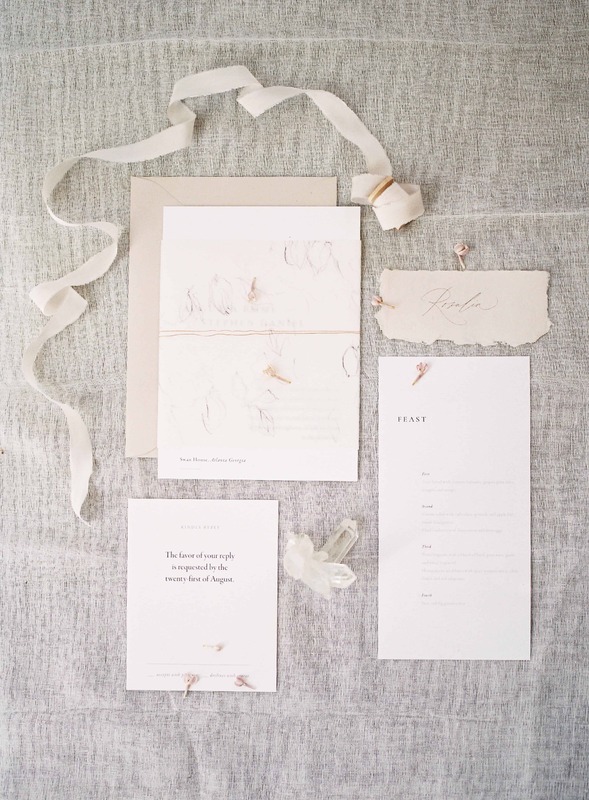 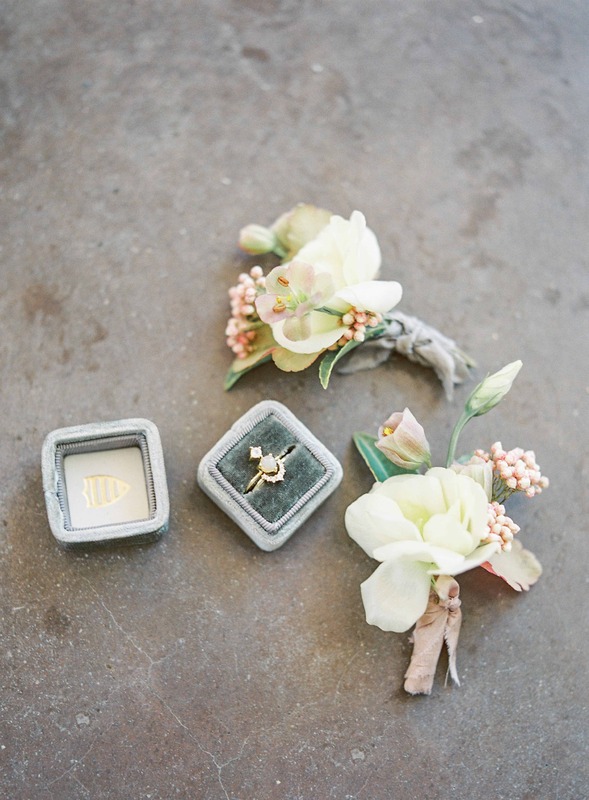 The greetings perfectly matched the theme, with layers of handmade paper and subtle vellum. 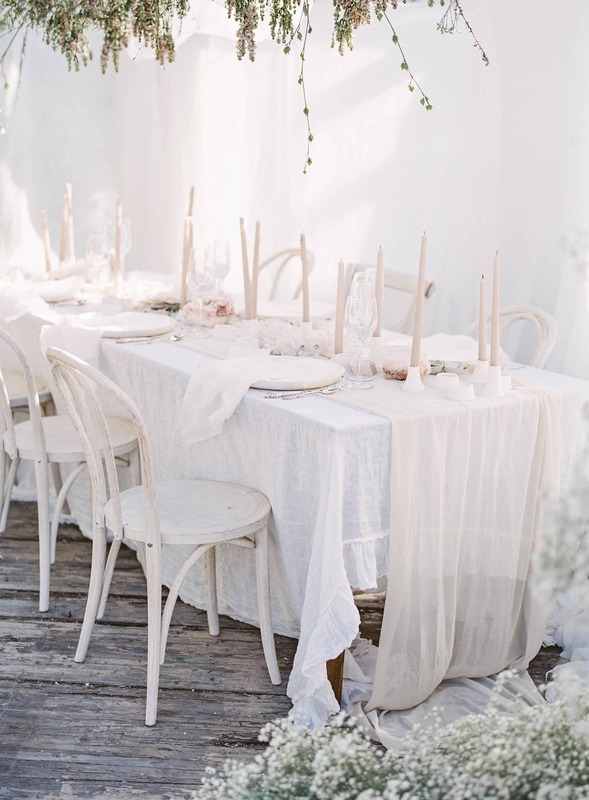 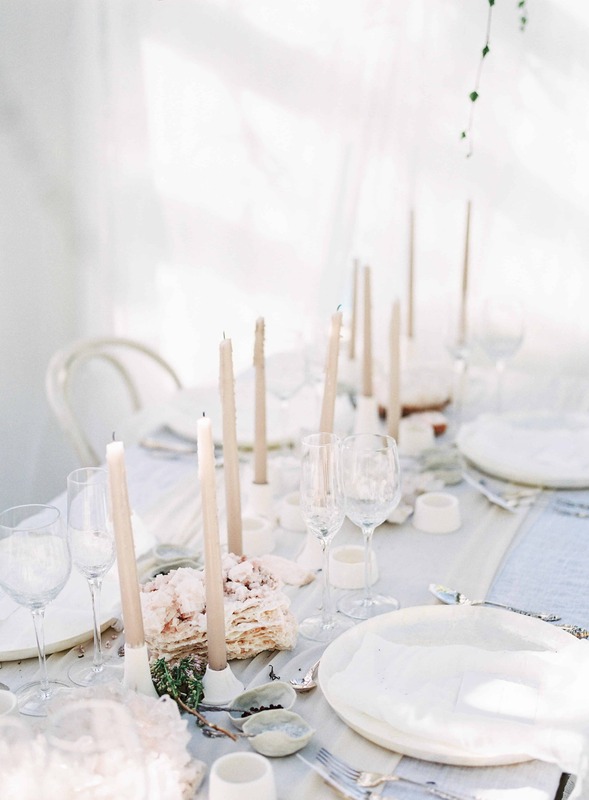 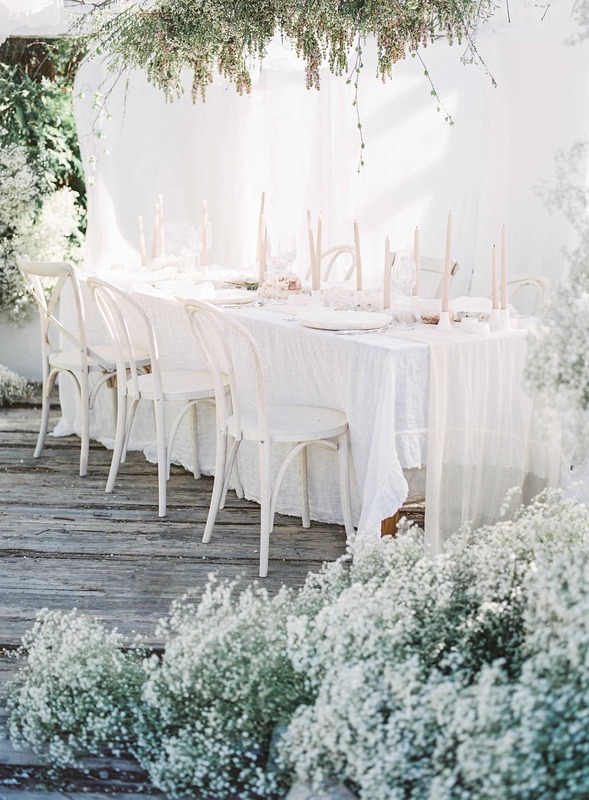 Taking inspiration from Greek colour theory, which espouses that shades of white represent life, being and altruism, White Event Studio created a tablescape of white linen with a delicate silk runner by Stella Wolfe. 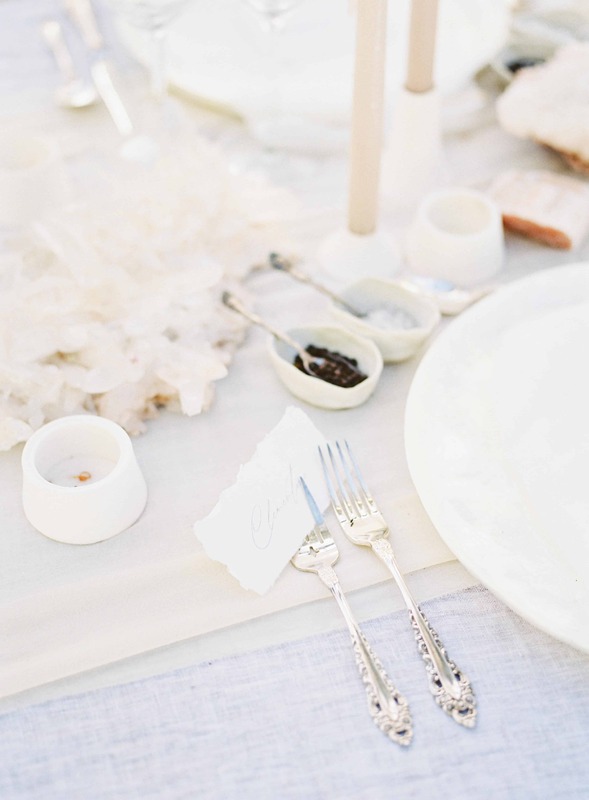 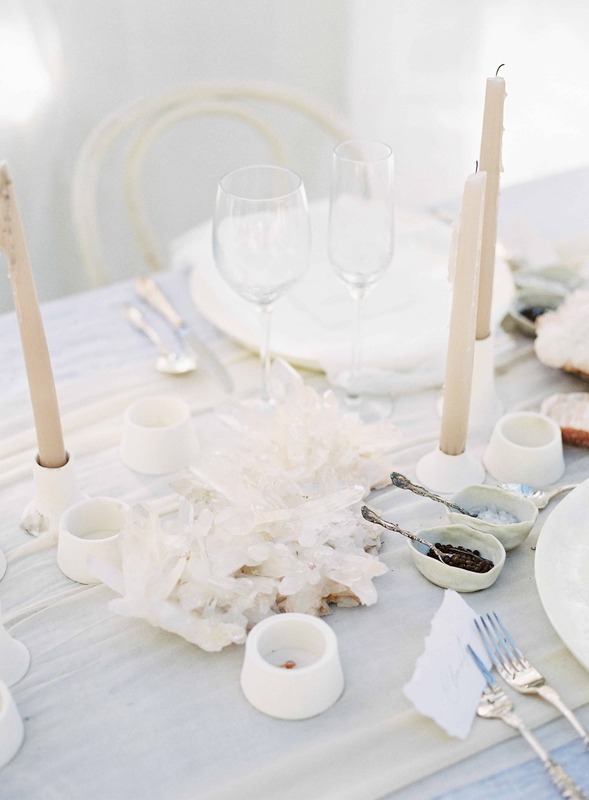 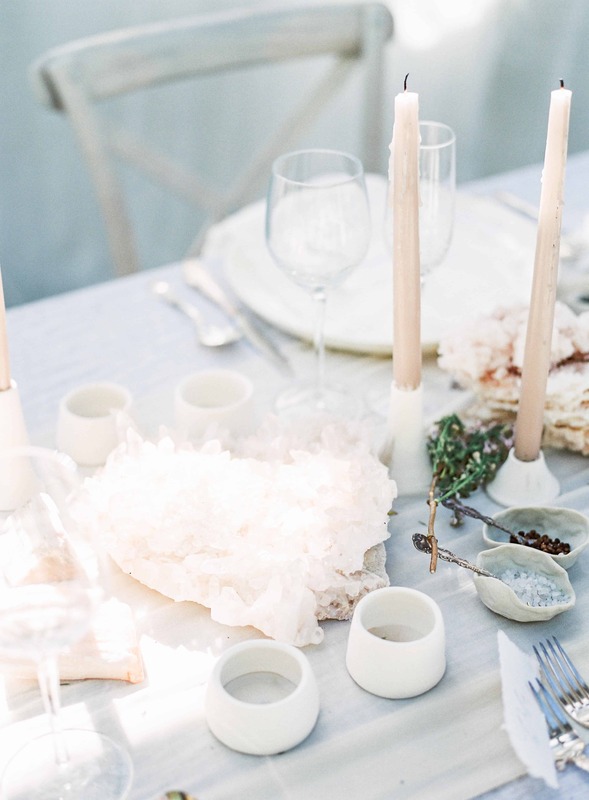 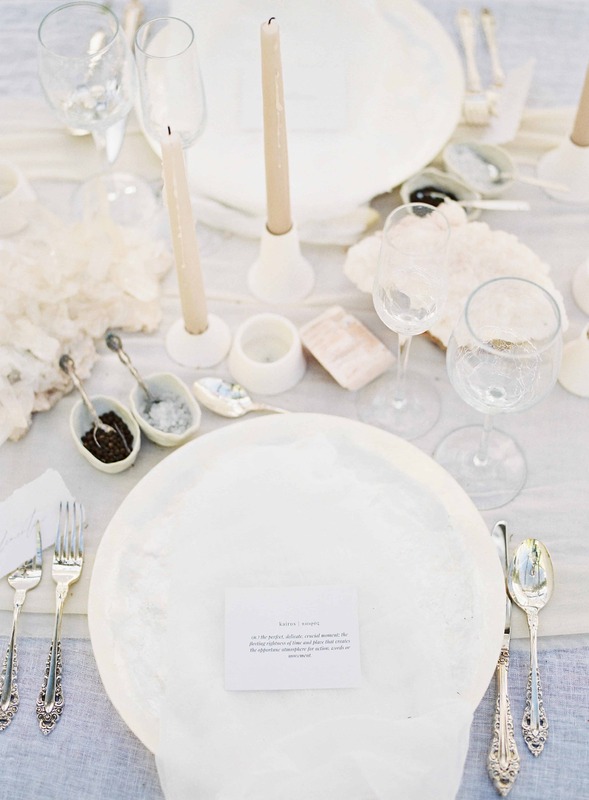 Mother of Pearl charger plates paired handsomely with handmade ceramic candle holders by Kate Campbell and raw crystals from The Cross Decor & Design, perfectly reflecting the light of the day.